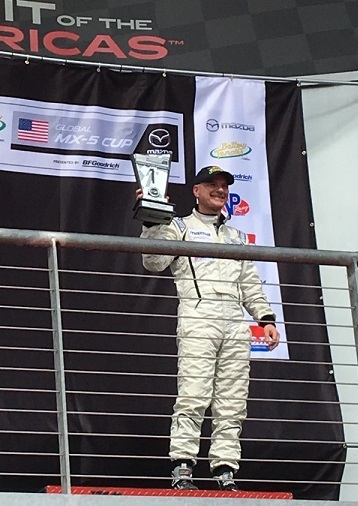 MX-5 at COTA: 2 Challenger Cups for Flatout’s Belluardo! Battery Tender Global MX-5 Cup Presented by BF Goodrich Tires. Say that five times fast. Flatout hotshoe Matt Koskinen was fast as well. A couple of bad breaks pushed him back in Sunday’s race, but on Saturday he climbed an impressive eight spots in the field. This is great racing, and we can’t wait for more. To lock onto this incredible series, check out Mazda’s encyclopedic website. We were all over the place the first weekend in March! One crew made for New Orleans’ NOLA Motorsports Park for a super-competitive SCCA Hoosier Super Tour. 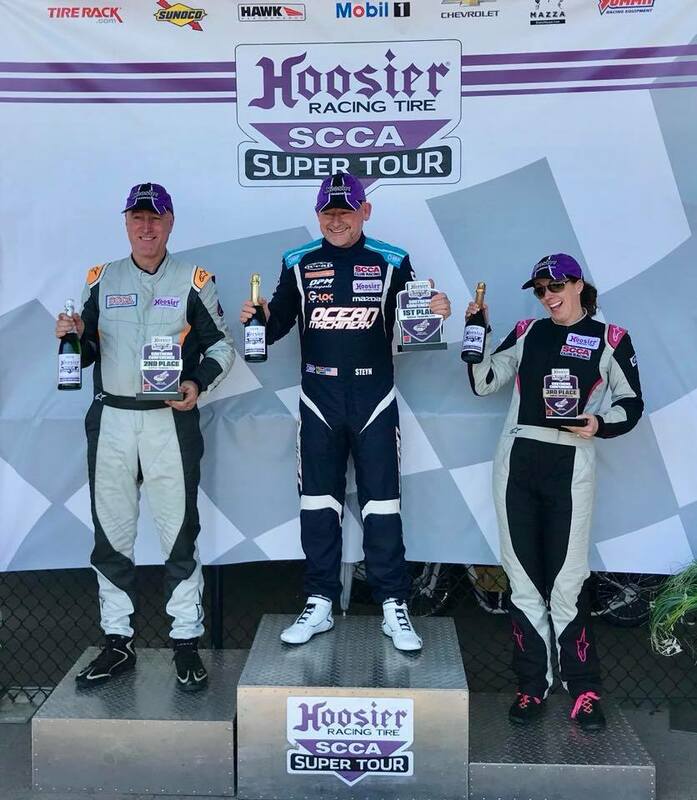 Plenty of renters and arrive-and-drivers kept us busy; hotshoe Amy Mills highlighted the event with a pair of podium finishes in the STL class. 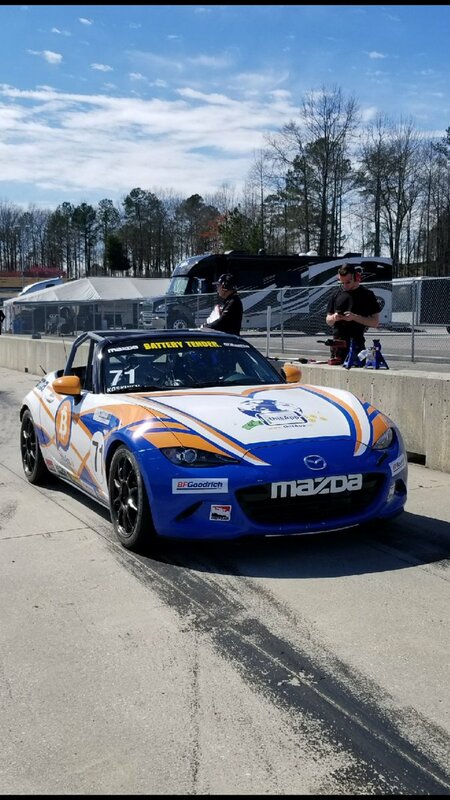 Meanwhile we were also at Barber Motorsports Park in Alabama, where the Mazda Global MX-5 Cup crowd held a test-and-tune weekend. Matt Koskinen and Tyler Kicera did a great job dialing in their rides (that’s Matt’s gorgeous number 71 below). Can’t wait to return to Barber next month for some tight racing! Leverone doubles up at COTA Super Tour! As our Winter Tour hums along, we need to point out that we don’t just rent cars … we rent race-winning, track-record-setting, cars. Company President Nick Leverone proved it Feb. 2-4 at the Circuit of the Americas, capturing both STL races during a Hoosier SCCA Super Tour weekend. You can read more about it here. Nick wasn’t alone, of course; in addition to our tireless crew, there were plenty of Arrive & Drive clients and renters, opting out of the cold for some racing fun in the sun. Why not join them? Heck, you can rent the lightning-fast number 37 shown here. Contact us! Green flag flies on our Winter Series! We started with the annual Turkey Trot SCCA Regional at Sebring. 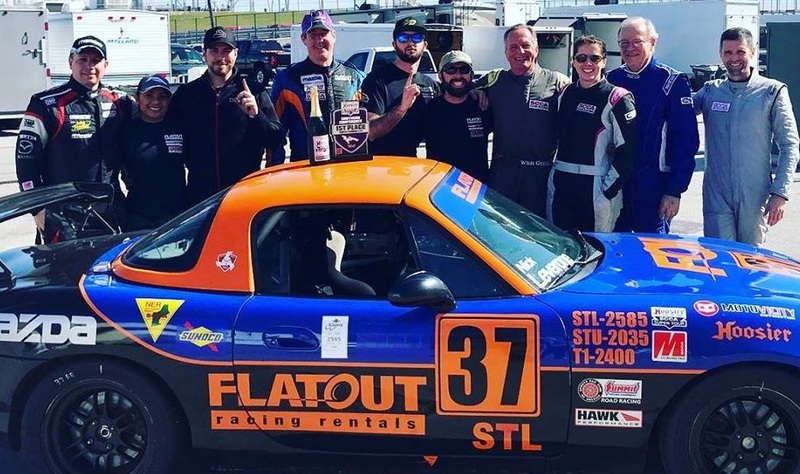 Amy Mills, Whit Gregg, Lance Bergstein and Joe Schubert all ran their own cars, while Wendy Cappola and Rob Coneybeer rented and company prez Nick Leverone helped himself to a Flatout Miata. Great racing and deep-fried turkey – no complaints! 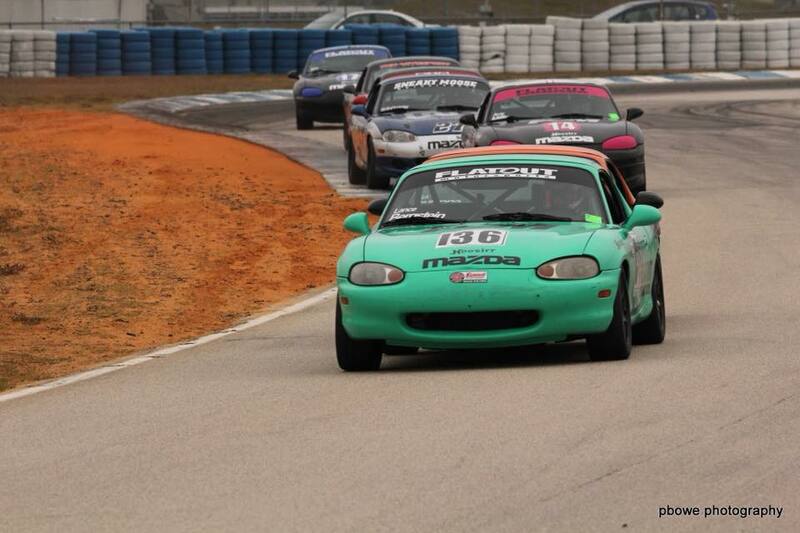 The next stop was an SCCA Double Majors weekend at Homestead Miami Speedway. Leverone, Gregg and Mills were all there (Mills in her new Miata, purchased from pal Danny Steyn), joined by Andrew Charbonneau. Nick did the company proud by winning both STL races and setting a new track record. We put a wrap on January with a return to Sebring for another Majors. Whit and Amy were back, as was Lance. Another terrific event at one of the nation’s legendary tracks. Big thanks to the Energizer Bunny crewmen – Nick, Adam Desrosiers, Dave Goulet, Andrew Burke and Kyle Santos – who make all this fun possible. Even as you read this, they’re Texas-bound to prep for a big Circuit of the Americas Race. Then it’s yet more Sebring, New Orleans, VIR … aw heck, just check our schedule. 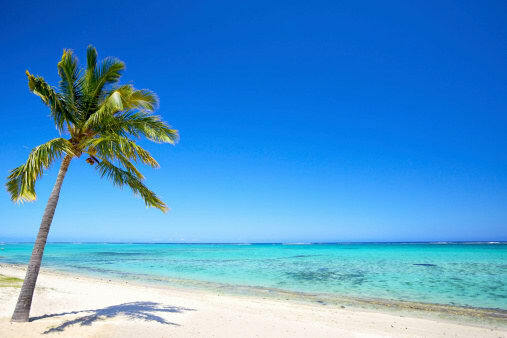 And come join us; rentals are always available! $#&! winter, come down and race! Something about today’s 15 inches of snow, to be followed by subzero temps, makes this as good a time as any for a reminder: Flatout Motorsports operates year round! Right now we’re supporting customers at Homestead-Miami. Next week? Sebring. And in coming weeks, you’ll find us turning laps and sunning ourselves in Louisiana, Texas, and Georgia … with plenty more Florida thrown in. Whether you want to run your own car as an Arrive & Driver, or rent for a weekend just for the change of scenery, check out our upcoming schedule and contact us for details! Friends, it’s been a record-breaking 2017 here at Flatout Motorsports. We hope you can say the same. Here’s wishing you and yours a joyous holiday season and a spectacular 2018! Tyler Kicera named Mazda Road to 24 Shootout finalist! Huge news! Mazda has named four finalists for its 12th annual Mazda Road to 24 Shootout, and our good buddy Tyler Kicera is one of them! 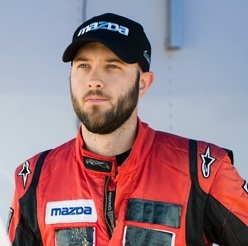 Tyler’s racing accomplishments are legion – NASA and SCCA championships, a podium finish in his first-ever Battery Tender Global MX-5 Cup race, and plenty more. We connected with him because we believe in constantly improving our cars, and we wanted his feedback. You can read the announcement and learn more about the unique Mazda Road to 24 Shootout here. Go Tyler! 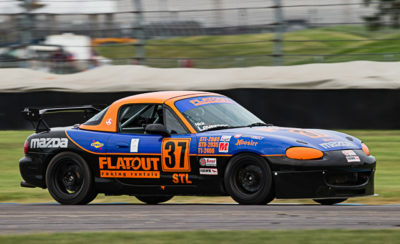 Great writeup here at Mazda Motorsports discussing one of our favorite cars – Jon Farbman’s gorgeous, supremely engineered (if we say so ourselves) 13B-powered Miata, which is a demon in SCCA’s STL class. 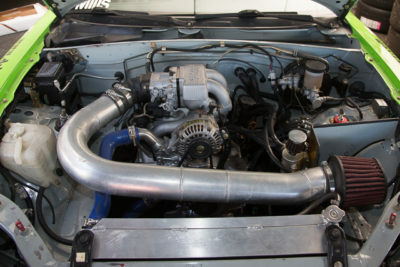 In the article, company president Nick Leverone explains some of the challenges around the build, such as the need for a trick oil pan. The tradeoff is an engine (light to begin with) that sits low and way back, making for excellent weight distribution. This car is fast, fully developed – and for sale! To learn more, contact us. 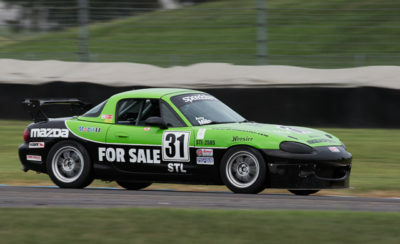 Nice little writeup here at Mazda Motorsports on our number 37 NB rental, built to run up front in SCCA’s fast-growing Super Touring Lite class. Hey, when you build the two top-finishing RWD cars in one of racing’s most competitive classes, people notice! We value our terrific relationship with Mazda; look for upcoming articles, similar to this one, discussing our rotary NB and NC builds. And remember, you can rent this no-excuses race car anytime – just contact us! Winter’s coming – race all year with Flatout! 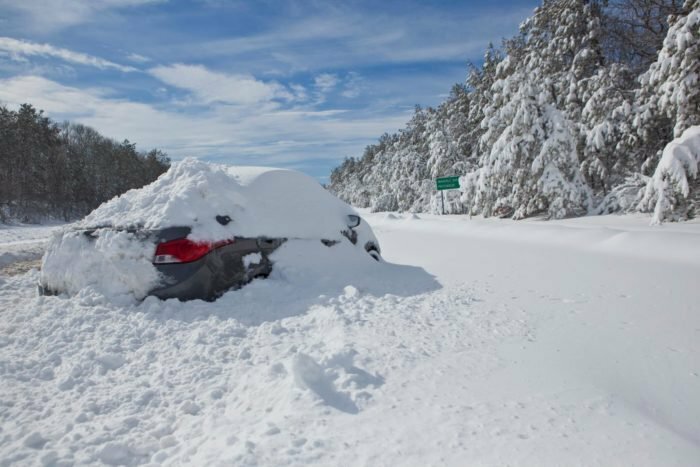 It’s coming, friends, you know it is – and according to the Farmer’s Almanac, it’s going to be a snowy one in the northeast. 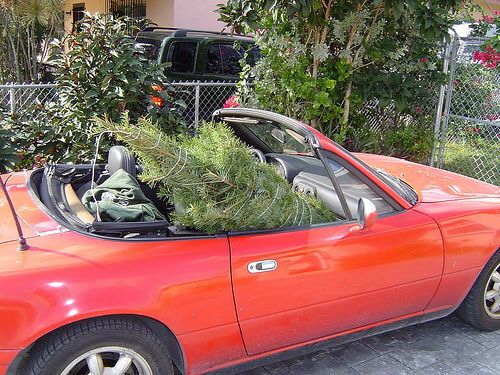 You can spend all winter clipping apexes with your snowblower, or you can come race with us at Sebring, Daytona, Road Atlanta, New Orleans, and more. As is our tradition, we’ll kick off the Flatout Motorsports Winter Series on Thanksgiving weekend with the Turkey Trot regional at Sebring. Keep an eye on our schedule for more opportunities! You can rent race-winning cars from us to compete in a number of classes, or you can arrange an Arrive & Drive weekend; we bring your car south, we prep it, we provide crew – all you do is fly in and drive! Contact us to get all the details.